Heidi Montag plastic surgery attracted the attention of many people because of the number of procedures involved. The celebrity is said to have undergone lots of cosmetic modifications to alter her looks into what she deemed as a perfect figure. As it is the case with many celebrities, having a plastic surgery is the easier way of getting the looks they want without going through dietary plans or exercises that will make them weary and impatient. Four years ago, Heidi Montag, went under the knife for a number of cosmetic procedures. The shocking thing is that all of them were done in one day. 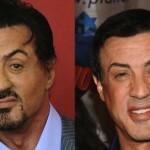 Being in reality TV can exert pressure on celebrities to have their looks modified into what their fans expect of them. While some of the celebrities do moderate modifications, others go through extensive surgical procedures in a bid to completely change their looks. Heidi became one of the rare cases who had her surgeries in succession without being warned of the pain during recovery. Heidi needed to change the way her brows were. They were not old for them to look funny but she just wanted to be different. The skin around them was clipped a bit and the brows lifted. 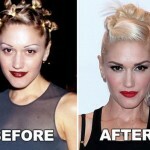 Yes, she looks different but in an unnatural way. Her nose also looks changed. Every celebrity wants a narrow nose that is sharper, thinner and more refined. This however comes at a cost. This cost is not only monetary but also structurally. The new nose may not fit exactly with the rest facial features and this process is irreversible. Heidi is said to have undergone this procedure in an attempt better her looks. The celebrity had desired to increase the size of her breasts. It is the desire of so many women, celebrities and others, to increase the cup size of their breasts. This is usually done to give them a perfect look that matches the rest of the body. These procedures can turn out to be good or disastrous depending on the experience and expertise of the cosmetic specialist. For the case of Heidi, things didn’t seem to work well for her. According to observers, the celebrity went through two breast augmentations some years apart. The first impression after the implant was that she felt good about the entire process where her breast was increased to size F cup. Later on, the celebrity declared publicly that she regretted the process and she should not have undergone it in the first place. Some of the problems that came as a result of her implant were a ruptured disc in the neck, spinal and muscular damage along her back and arm numbness because of pinched nerves. She eventually had her breast reduced to D cup. The celebrity had much of her fat removed from her inner and outer thighs. She looks much leaner than in her previous photos. Experts however comment that such a procedure is meant to be accompanied by processes that will not lead to re-accumulation of fat back to the thighs. Heidi Plastic Surgery is not a good example and it casts a shadow on the competence of some cosmetic specialists.